A Thank-you Note to Laura C.
We’ve never met in person or crossed paths in the diabetes online community (DOC). I was diagnosed with Type 1 diabetes in 1976 at the age of 24. When my children were born 30+ years ago, I naively never worried about them getting Type 1. When I became involved in the DOC over 10 years ago, I quickly became a supporter of parents of children with Type 1. At the same time I gave thanks every day that I had diabetes instead of my children. Most of the parents whom I’ve met in the DOC would happily live with Type 1 if they could take the burden away from their children. I suspect that you feel the same way. I recently listened to you and your husband talk on the Oct. 20 DSMA ‘Rents podcast about CGM in the Cloud. I have read many blogposts and listened to multiple interviews about the Nightscout system and am amazed by the #wearenotwaiting project. The technological support and peace of mind it provides for people with diabetes and their parents/families is wonderful. Although some adults with diabetes are using the system, I personally don’t need it at this time. As a diabetes tech junkie, I’ve been tempted to buy the gear and set it up, but so far I’ve resisted. But Nightscout is not what this letter is about. I am 62 years old and will be on Medicare in 2.5 years. I have used continuous glucose monitoring (CGM) for over five years and have found the Dexcom G4 to be a life-changing device for me. I am safer, my blood sugars are more tightly controlled, and I feel better both physically and mentally. When I reach Medicare age, I will have used a CGM for almost 8 years with full insurance coverage. I am terrified of the day that current Medicare policy will deny me that coverage. I am befuddled by decision makers who label CGM as “precautionary and without proven value” while this still-improving technology has a proven track record, can save money by reducing hypoglycemia-related ER visits/hospitalizations for seniors, and is a fundamental technology of the Bionic Pancreas. In the last year and a half, the issue of Medicare CGM coverage has moved to the front page of DOC advocacy. (One of the leading champions of this issue is my co-blogger Sue from Pennsylvania.) Those of us with insulin-dependent diabetes on Medicare or approaching age 65 have appreciated the support of parents, families, friends, medical professionals, and people with all types of diabetes. With the whole diabetes community supporting us, we have had and will continue to have a louder voice than we would otherwise. But the fact that you took the time to conclude your interview concerning your project and your son with the importance of my issue is incredibly heart-warming. So I thank you, Laura. If I ever had doubts that those of us affected by diabetes can be a united and supportive community, your eloquent remarks smashed them. I will sleep better knowing that you are on my team. follow instructions to have your voice heard. Many times over the course of this past year since I’ve starting blogging, I’ve made mention of the fact that for the most part I’m a very private person. I’ve never liked calling attention to myself and more then anything, after having worked for over 40 years outside of my home, I’ve enjoyed being a homebody. I love to do anything with my hands. Knitting is one of my favorite hobbies as is doing very intricate beadwork. The tinier the beads, the more I enjoy working with them. I love to read and delight in spending time in the kitchen playing around with new recipes. When I got the opportunity to start blogging on Test Guess and Go, I realized that writing about the problems that my husband and I were experiencing getting Medicare coverage for the Continuous Glucose Monitor (CGM) was therapeutic. Before I started doing this, I often felt very alone. I have friends who have diabetes but they are all Type 2 and don’t understand the problems that my husband Marc has experienced being Type 1. Through my writings, I have had the opportunity to be in contact with many people who are dealing with the same problems Marc and I are faced with on a daily basis. For me, who had become his advocate in this quest, writing became a great way to get out my frustration at a system that does not recognize the importance of a device such as the CGM. A diabetic with hypoglycemia unawareness needs this in order to feel safe and keep others safe. On May 1 I took a huge step towards coming out of what I refer to as “my box”. I did a Podcast on DSMA Live. For those of you who don’t know what DSMA Live is or what a Podcast is, it’s an hour long program that is similar to a radio broadcast except that it’s done through a computer and in the comforts of your own home. DSMA stands for Diabetes Social Media Advocacy. Cherise Stockley is the creator and the co-hosts are Scott Johnson and George Simmons. The mission of DSMA Live is to “promote social networking in all its forms (Facebook, Twitter, YouTube, etc) in order to educate and support all people affected by diabetes”. Cherise, Scott and George interviewed me and I was able to speak about my experience as the spouse of a diabetic and my journey during the past year fighting to get a Continuous Glucose Monitor covered by Medicare. The interview is available on iTunes under Podcasts and using the search words DSMA Live or by going to this link. I was pretty calm leading up to the day of the interview until about an hour before I was to go on the “air”. Then the nerves started to kick in. I am not and never was a public speaker. The thought, to be honest, was pretty frightening; however I felt that it was something that was necessary if I was going to inform as many people as possible about H.R. 3710, the Medicare CGM Coverage Act. This bill was introduced to Congress in December, 2013 by Representative Carol Shea-Porter and asks for coverage of the CGM if recommended by a physician. I feel that this bill is extremely necessary for diabetics with hypoglycemia and/or hyperglycemia unawareness. I will do whatever is necessary to inform the public about H.R. 3710. I am asking everyone to write to their Congressperson and request that they co-sponsor the bill so that it can be brought to the floor of the House. Please read my Join the Crusade post to find out how you can make a difference in the fight for CGM coverage by Medicare. The Podcast started and Cherise introduced me and much to my surprise, once I started speaking, my nerves dissipated and it was smooth sailing from then on. I I give credit to Cherise, Scott and George for putting me at ease. I was pretty surprised when I looked at the clock and saw that I had already spoken for 30 minutes and hadn’t covered half of what I wanted to cover. The second half went even faster and before I knew it, the hour was up and I still had more to say. But alas, you only get an hour and my time was up. I hope to do a Podcast again in the future. This very private person definitely came out of the “box” and enjoyed doing so. A few months back, I wrote a blog about my year of growth, first deciding to advocate for my husband and then starting to write on Test Guess and Go. 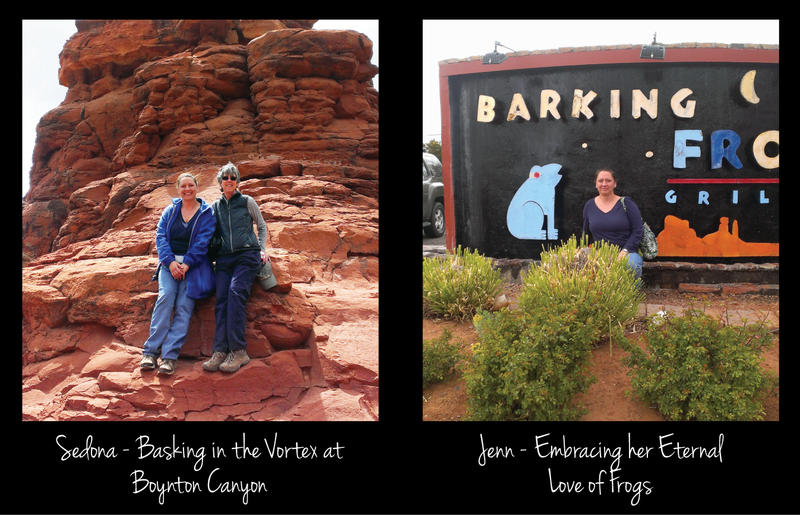 My experience has taught me that growth can happen at any age (even for a Senior Citizen). It is my hope that with all the effort put into getting the CGM covered by Medicare that I will one day be able to stop blogging about the CGM and go onto other issues that diabetics deal with on a regular basis in getting coverage for much needed items. Until then, I will continue doing whatever necessary to get the guideline for the CGM changed. 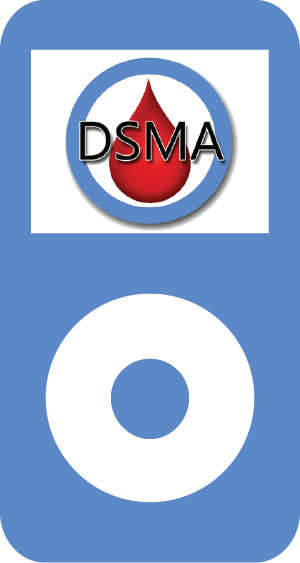 DSMA Live Factoid: The archived podcasts are available through iTunes (search DSMA Live) and at BlogTalkRadio. Diabetes Social Media Advocacy (DSMA) is the brainchild of Cherise Shockley. BlogTalkRadio states that “The mission of DSMA is to promote social networking in all its forms (Facebook, Twitter, YouTube, etc) in order to educate and support all people affected by diabetes.” That is already out of date because Cherise has bigger plans. She realizes that not everyone with diabetes is part of the DOC (Diabetes Online Community) and she wants her inclusive message of support to be available to everyone, online or offline. Because I cannot do justice to the scope of everything that DSMA is involved in, I encourage you to visit the DSMA website. In addition to DSMA Live on Thursday evenings, you’ll learn about the Wednesday night TweetChat, the ‘Rents show for parents, and the en Vivo! show in Spanish. There is also information about the monthly Blog Carnival and the weekly WDD Blue Fridays Initiative. The early DSMA Live shows were an extension of the TweetChat, and the hosts and featured guest discussed the questions that had been posed the night before. Over time the shows morphed into what is now an interview and discussion format. DSMA Live Factoid: Three of the first five guests interviewed on DSMA Live were named Scott. The guest list from the first 2-1/2 years of the show is a veritable Who’s Who of the diabetes community starting with the well-known hosts: Cherise, George Simmons, and Scott Johnson. If you spend time in the DOC, you’ll recognize the names of the many bloggers and advocates interviewed including Manny Hernandez, Kerri Sparling, Wil Dubois, and Amy Tenderich. Karen Graffeo, a blogger and the founder of Diabetes Blog Week, made a comment that characterizes the journey of most of the people interviewed. 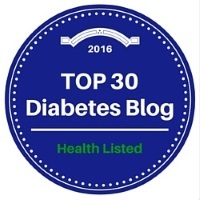 When asked about the background of Diabetes Blog Week, she said: “So I started thinking that it would be great if someone did that for the diabetes blog community. So then I thought that maybe I should try to do it.” One after another the featured DSMA Live guests saw something that needed to be done and they did it. They weren’t superstars. They were people who started writing about their lives and reached out to make the world a better place for everyone affected by diabetes. DSMA Live Factoid: Two of the featured guests were 8 years old or younger. Some of my favorite shows were introductions to people I had not “known” previously. It was fun to hear the stories about their blogs, podcasts, advocacy groups, and start-up companies. Especially unforgettable were the crazy people who climb mountains, participate in triathlons, and drive race cars while juggling the never-ending demands of diabetes. Also very interesting were the conversations with insiders in the diabetes industry such as Dr. Henry Anhalt, Director of the Artificial Pancreas Program at Animas, Lane Desborough, a Product Strategist at Medtronic, and Sean Gallagher, the Senior Director of Marketing at Insulet Corp (Omnipod). DSMA Live also introduced me to Professor Jean Claude Mbanya, a physician from Cameroon who is President of the International Diabetes Foundation. 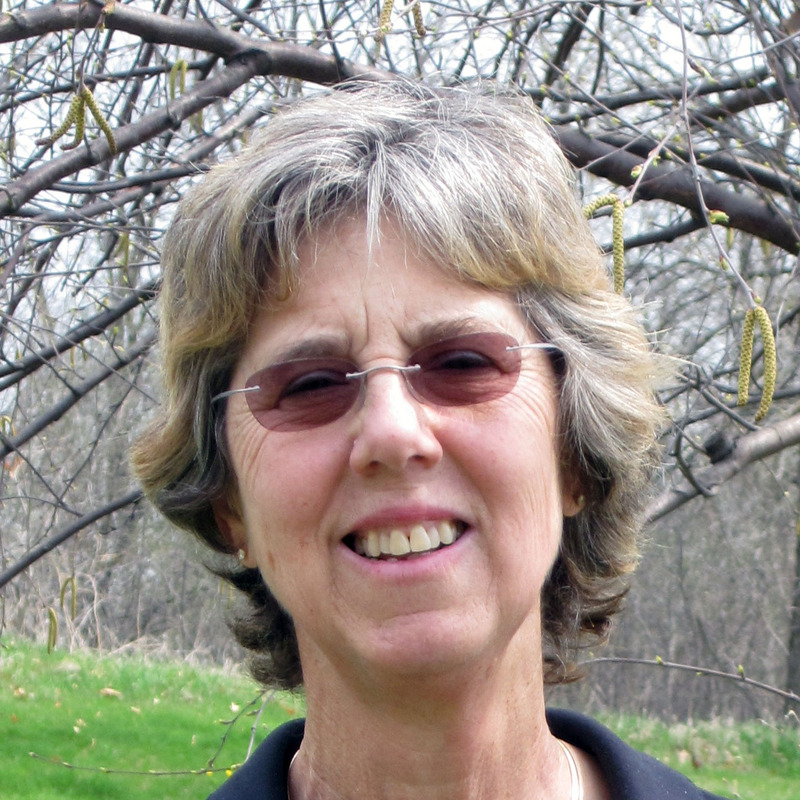 DSMA Factoid: Art therapist and blogger Lee Ann Thill is the sole member of the 5-Time Featured Guest Club. As my dog Abby outlined in her post yesterday, I listened to 149 DSMA podcasts in a 6-month period mostly while walking the dog. I got a lot of exercise. I got a lot of education. I got a lot of inspiration. All great things for a successful life with diabetes. I encourage you to put on your walking shoes and give DSMA Live a try. 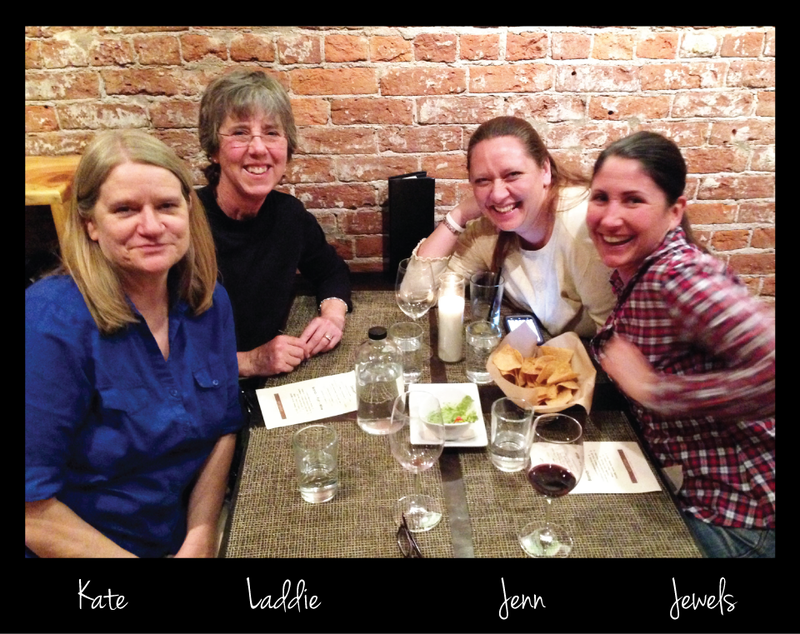 Laddie: In tomorrow’s blog post, I will write about my 6-month journey through the archives of DSMA Live. DSMA Live is a weekly interview show hosted by Cherise Shockley, George Simmons, and Scott Johnson. DSMA stands for Diabetes Social Media Advocacy and more information can be found at the DSMA website. Today my dog Abby is giving you a preview of the important details. 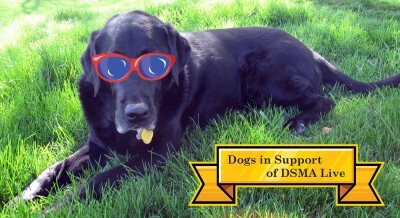 Most dogs don’t know about DSMA Live. 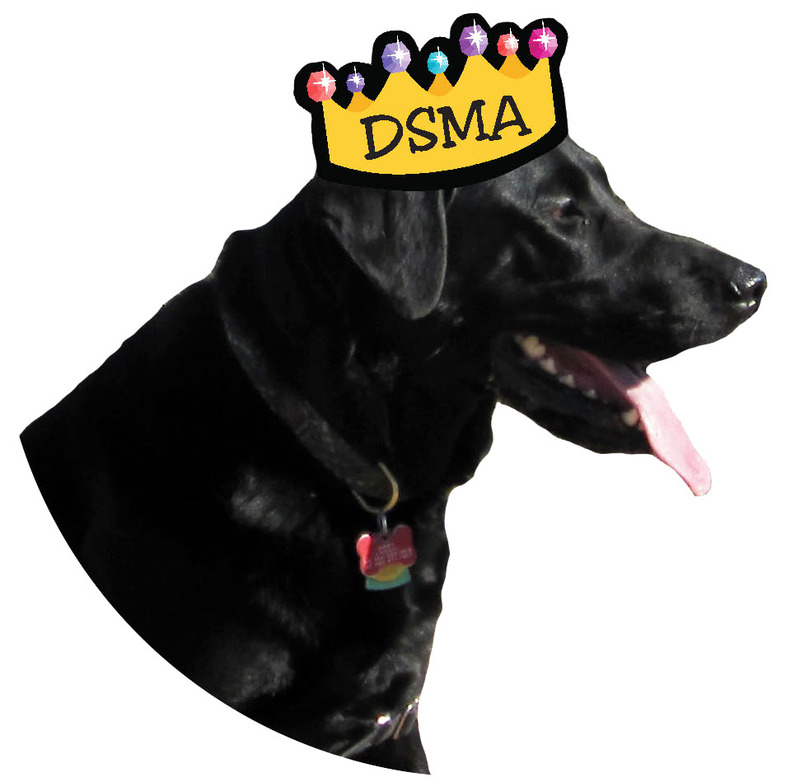 I do because on January 1st of this year, my owner Laddie decided that she was going to listen to all of the archived DSMA Live shows. Since that decision involved neither dog biscuits nor tennis balls, I totally dismissed it and curled up by a sunny window to take a nap. Hearing the rattle of my harness and leash, I jumped at the opportunity for a walk. Laddie grabbed her pink iPod Nano and thus began our winter and spring of listening to DSMA Live. Well, actually I didn’t listen. My head is not properly shaped for ear phones. I just walked, stalked rabbits, and sniffed dog “Tweets” on mailboxes and fire hydrants. Now you may not know what DSMA Live is. Neither do I. All I know is that because of this series of podcasts, I was the beneficiary of multiple long walks that far surpassed our normal dog walk frequency and length. From January 1 until May 16, 2013, Laddie listened to 149 DSMA shows. According to her Fitbit pedometer, our normal pace was a 20-minute mile. Or as I prefer to think of it, we walked 3 miles per DSMA show. We could have gone faster, but this pace included dog potty breaks and socialization with other canine/human combos. My favorite stat is that in 5-1/2 months, we walked approximately 447 miles accompanied by DSMA Live. That’s an average of 3.3 miles per day. I am indeed a lucky dog and my ever svelte figure is a result of my daily exercise. Now that we are only listening to current episodes, I realize that the number of my DSMA walks will be reduced. But the addition of spin-offs such as the ‘Rents show and the en Vivo! show is a reminder that there will be a growing number of podcasts to inspire dog walks.